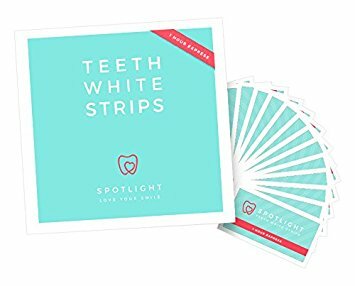 Spotlight Teeth Whitening Strips - the easy to use at home teeth whitening system. Contains 28 easy to use strips, 14 for upper and 14 for lower teeth. Spotlight Teeth Whitening Strips work on your teeth using Hydrogen peroxide solution. Hydrogen peroxide is the most effective active agent to whiten teeth. Tear open foil packet where you will find a top and bottom strip.